Crystal is "from where the crystal waters flow". 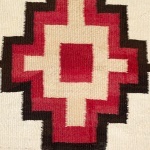 This rug has an interesting variation in design. 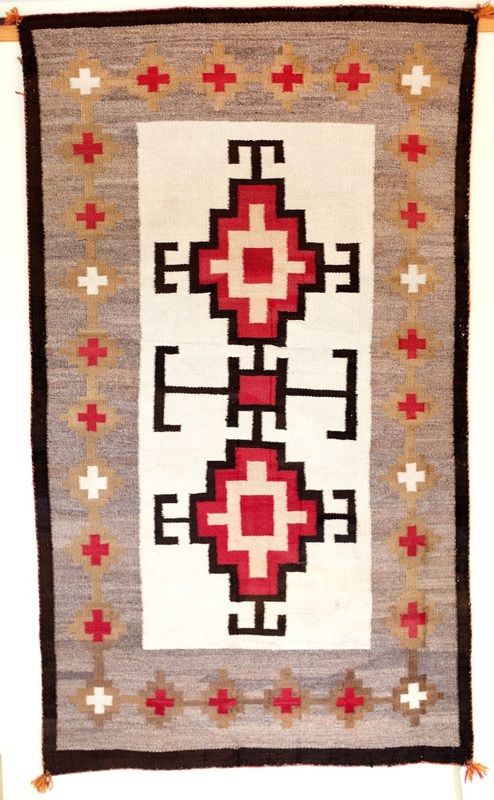 The wide border is of spider woman's crosses upon the familiar Navajo landscape depicted in hand spun, undyed wool. 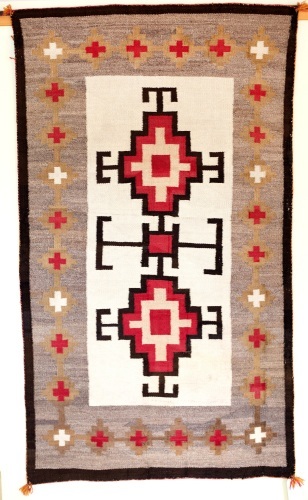 It is a good size that will fit most rooms and decors.